As promised yesterday I'm sharing my advent calendar that I made for Israel. I used some thin sheet metal & a large hole punch to make the tags with a permanent marker for the numbers. 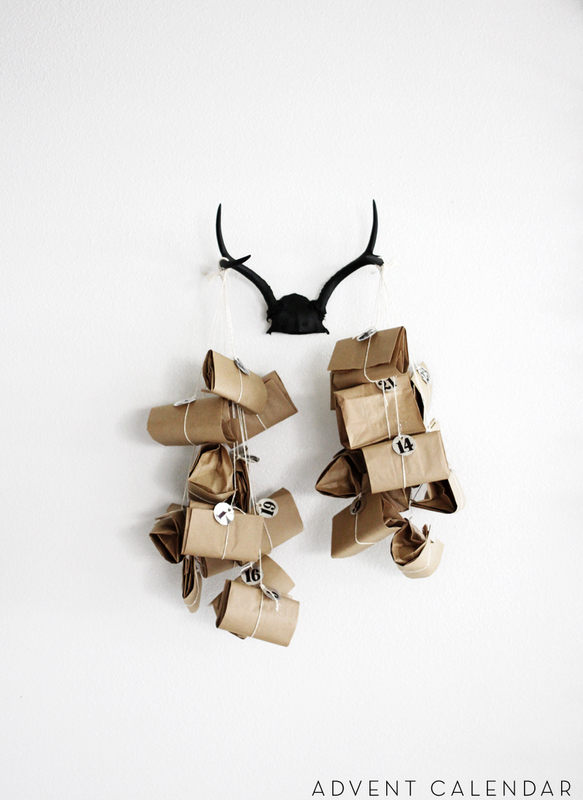 Then I tied each bag with some twine and a tag and hung 12 on each side of the antlers rack. Such a fab idea, Jen! Love it! 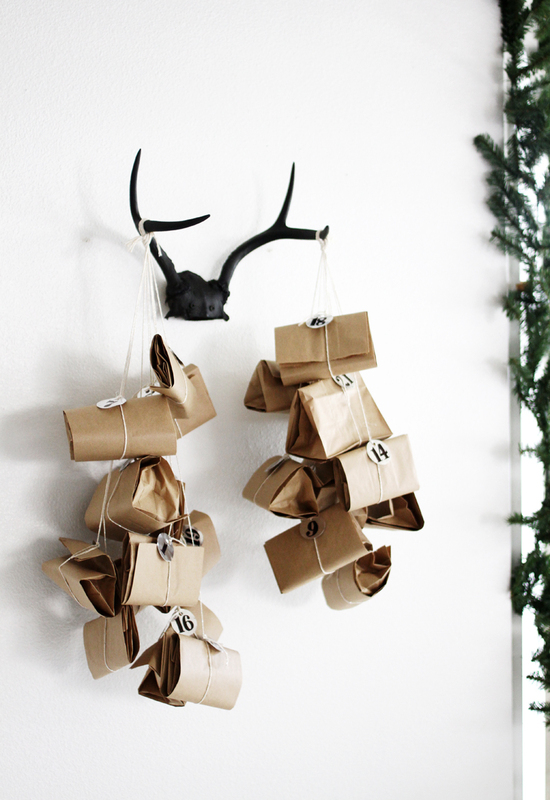 This is just a wonderful Advent Calendar. Great Idea. I'm so curious about what's inside! this is the prettiest calendar ive seen yet! Most fun advent calendar ever! What made you decide on the name 'Israel'? simple AND beautiful.... I really have to hurry up now with my christmas calendars - only two more days to go, help!!! i love this, and love the blog girl. keep it up! can't wait to read more! It's so amazing Jennifer, what a great spin! The best advent calendar yet! i am quoting ann when i say this is the best advent calendar yet! haha. she took the words right out of my mouth. i've never seen anything like this before! 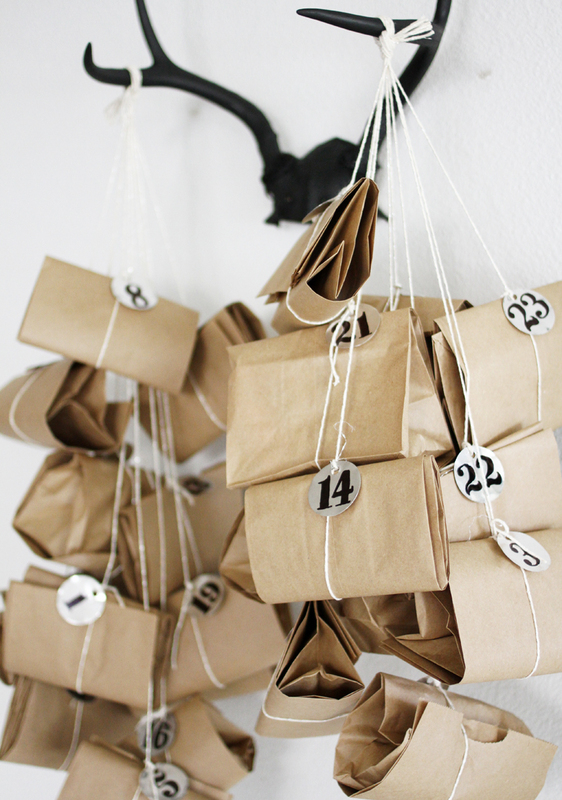 What a great idea for an advent calendar! I am so going to have to try that! I really like your blog name. I LOVE this idea! Very sophisticated, but still simple and inexpensive. The paper bags give you a little more room for including some larger treats and gifts, too. I just made and advent calendar from old watchmaker tins, but only because I had them already (used them for scrapbooking storage at one time).